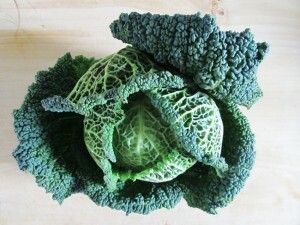 Savoy Cabbage (Brassica oleracea var. 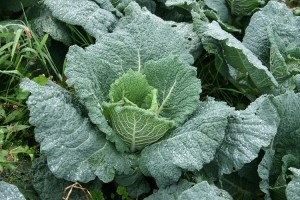 sabauda) is one of the many varieties of cabbage mainly grown during winters. Also known as curly cabbage, its deep green, crinkled, loosely-layered leaves give it a unique look compared to other cabbage types. Shape: The head of this vegetable, which is its edible part, has a variety of shapes ranging from round, conical, flattened or oval. Texture: It has a fine texture consisting of crinkled or ruffled leaves along with a rough-edged leaf margin. 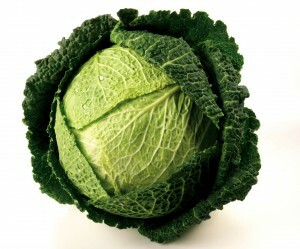 Size: The head of this cabbage has an average weight of about 6-10 pounds. 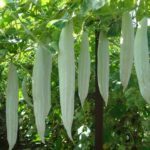 Color: The outer leaves are mainly of deep green color but may vary from yellowish-green to purple, whereas the inner leaves may be pale green, creamy yellow or white. Smell: It has a soothing smell compared to the other cabbage varieties. Taste: It is mild, sweet and grassy in taste that makes it be used in several recipes. A good source of Vitamin C: Its rich Vitamin C content makes it a powerful antioxidant, helping in strengthening of the immune system. 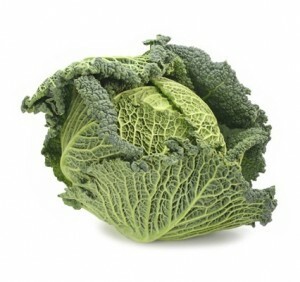 The benefits of Savoy cabbage increase further on being eaten with Vitamin E-rich foods like avocado or any fatty fish. Aids in weight reduction: Because of its low calorie content (100gm raw cabbage containing 27 calories), it is widely used in hypocaloric diets, thereby facilitating weight loss. Cancer preventive properties: Belonging to the category of the Brassica or cruciferous vegetables like broccoli, Savoy cabbage is said to have anti-cancer properties because of the presence of the glucosinolate, sinigrin that is converted into Allyl isothiocyanate (AITC) during cooking. This compound is capable of neutralizing carcinogens, thus preventing the growth of malignant cells, particularly being effective for colon, prostate and bladder cancer. Good source of Vitamin A: The beta-carotene present in it gets converted into Vitamin A by our body, helping in combatting night blindness, ensuring proper development of the cell and maintaining a healthy skin as well as fighting against lung cancer. Helps treating ulcers: The increased content of the amino acid glutamine that acts as a lubricant for the cells lining the stomach and intestinal region makes it effective in curing intestinal ulcers. Research has shown that its fiber content makes it helpful in preventing several alimentary canal disorders along with intestinal cancer. High in folate: Its good content of folate makes it a beneficial food source for people suffering from allergies and asthma. Increased consumption of folate also aids in protection from cardiovascular ailments as well as colon and uterus cancer. Relieves constipation: Being rich in fiber, it helps in flushing out the intestine thus alleviating constipation. Consumption of this winter vegetable is also beneficial for people with hemorrhoids and diverticulitis. High in calcium: Its high calcium content makes it a good substitute for milk or other proteins, thus facilitating in maintaining healthy bones and teeth, also lessening the chances of osteoporosis. Rich in Vitamin K: Being high in Vitamin K, this vegetable is useful in curing atherosclerosis (which is a major cause of heart disease), also reducing blood pressure. Good for engorged breasts: The benefits of Savoy cabbage leaves in treating engorged breasts after pregnancy has been observed by the Cochrane Pregnancy and Childbirth Group and even stated in several pieces of research and studies. Apply the cold leaves on your breasts and change them after every two or three hours when they dry up, to get relief from pain and inflammation. Repeat it for about two days or till the time the engorgement is lessened. Do not apply this remedy for a prolonged time if you are breastfeeding as it may lead to a lessened supply of breast milk. 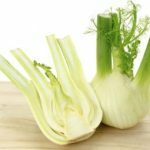 Being milder and less pungent than green cabbage, it is a great option for making deliciously flavored vegetable soup and puree. 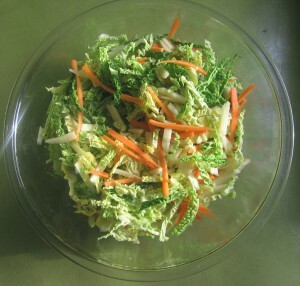 This cruciferous vegetable in its raw form can be shredded and used to prepare coleslaw (salad). 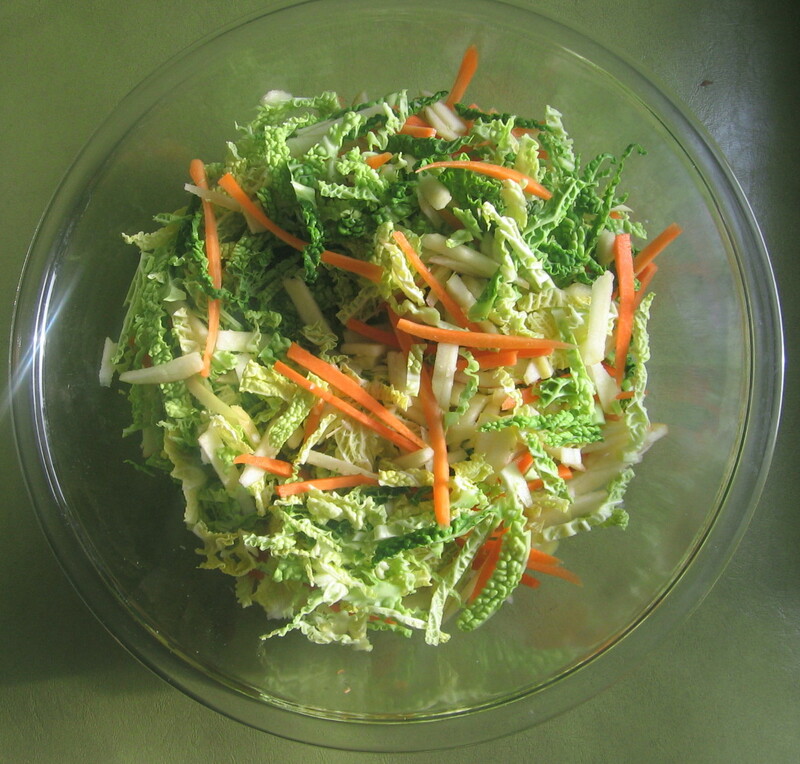 Shredded cabbages are also used to prepare a casserole dish. When added to dishes like lasagna, curry and bolognese, it gives a nice flavor to the dish, being a good option for children. Roasted Savoy cabbage has a tasty, nutty flavor and can be eaten in the main course with black beans, parmesan, bacon, raisins or in various other meat and vegetable dishes. Braised Savoy cabbage cooked in butter forms a healthy and delicious tea time snack. 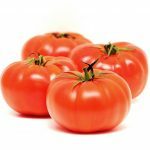 Because of its mild flavor, the relatively durable leaves can be used raw in salads along with other vegetables or fruits like carrots and apple. It is used in risottos, pasta and noodles as it has a crunchy taste. 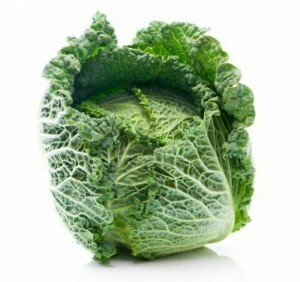 The leaves of Savoy cabbage, being rich in Vitamin K and beta-carotene are used to prepare a smoothie. Stir-fried Savoy cabbage cooked with mushroom forms a great summertime snack. It forms an important recipe for thoran (an Indian cuisine specialized in Kerala) and can be eaten as a side dish with steamed rice. Shred if desired by sliding the cabbage heads along a sharp mandolin slicer. Cooking on stove top: Boil a pan of water and add the shredded cabbage to it. Cook for about five to eight minutes. Stir-frying: Add about one tablespoon oil and put the cabbage in the frying pan. Cook for about five minutes till it becomes crispy. Steaming: Place it in the steamer for about 5 to 10 minutes. 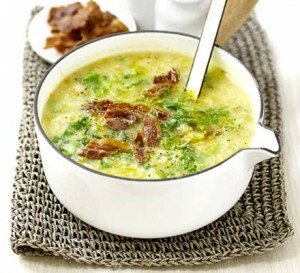 Over cooking Savoy cabbage will hamper its texture and flavor also taking away its nutritional value. Having a tender texture, it requires a less cooking time for softening compared to other green cabbages like Napa and bokchoy. The conventional green cabbage or napa cabbage is a suitable substitute for Savoy cabbage. Over consumption of Savoy cabbage may result in flatulence, diarrhea, and other digestion problems, leading to a feeling of discomfort. People having gastric problems should be careful while consuming it. Being a good source of folic acid, as well as containing a sufficient amount of iron, magnesium, and other useful minerals, it is a good option for pregnancy. Having it in its steamed or sautéed form helps in retaining its nutritional value. However, consuming it in excess may result in gas pains and other concerns. You can find this variety of cabbage in local grocery stores or farmers markets. While buying a Savoy cabbage, look for the deep green ones having curled leaves and devoid of any discolored patches or holes. Make sure that the leaves are tightly packed and the cabbage should also be heavy in accordance with its size . 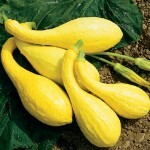 Their best available season is between October and February. Savoy cabbages can be stored in the refrigerator or in a cool and dark place for a week . While storing the cabbage, do not remove the outer leaves as moisture may cause it to decay fast. It was first grown during the 15th century in the Savoy region which bordered the countries of France, Switzerland and Italy. Napa cabbage has a lot of similarities with the Savoy cabbage except for the fact that it has loosely arranged leaves and a more delicate texture. Savoy cabbage thrives best in cool climates as its flavor increases when it gets frosted. Savoy King is a hybrid variety of this cabbage, characterized by a semi-flat and evenly textured head.